The Download Update is live in Europe, and we have the details thanks to a bit of eShop browsing and help from the always generous Daan Koopman. It's a pretty decent line-up once again, with a high-profile 3DS arrival and some tempting Switch downloads; there's a solid batch of discounts, too. Let's get to it. 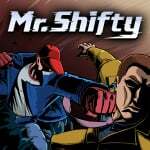 Mr. Shifty (tinyBuild Games, €14.99 / £13.49) - An intense top-down action game, with the HD Rumble designed to allow you to "feel every punch, shot and crash". The character can shift through space, as the name suggests, and it looks rather fun; we're shifting through a review right now to let you know what we think of it. The Jackbox Party Pack 3 (Jackbox Games, €23.99 / £20.03) - This could be a popular one, as this is a game that brings together five quirky and distinctly grown up party games, supporting up to eight players in various ways. We'll gather some of our favourite people and bring you a review. 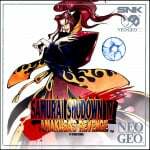 Samurai Shodown IV (HAMSTER, €6.99 / £6.29) - Another fighting game from the Neo Geo, though for some in our team this is right up there among their favourites in the genre; for some reason we start with number 4. It certainly looks like it puts up a good fight, and as always there'll be various customisation options and goodies in this 'ACA' release. Team Kirby Clash Deluxe (Nintendo, free) - This picks up on an extra mode in Kirby: Planet Robobot and adds more content along with a free-to-start setup. You team up with AI or buddies in local multiplayer to take down various bosses and foes, with each Kirby having different skillsets. We'll see how this free-to-download version squares up in a review. 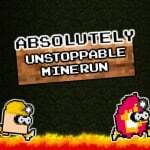 Absolutely Unstoppable MineRun (Yappa Pie, €3.59 / £2.99) - This is an auto-runner in which the miner is apparently 'out of control'; naturally you jump and double jump to avoid lava and various hazards. The Stonecutter (Brave Rock Games, €1.12 / £0.99) - This is an interactive children's story, telling an ancient Chinese morality tale about granting wishes; sadly we felt obliged to give it our lowest possible score in our review. That's the EU download update this week, so let us know what you'll be downloading in the poll and comments below. It's better than last week for Switch at least. 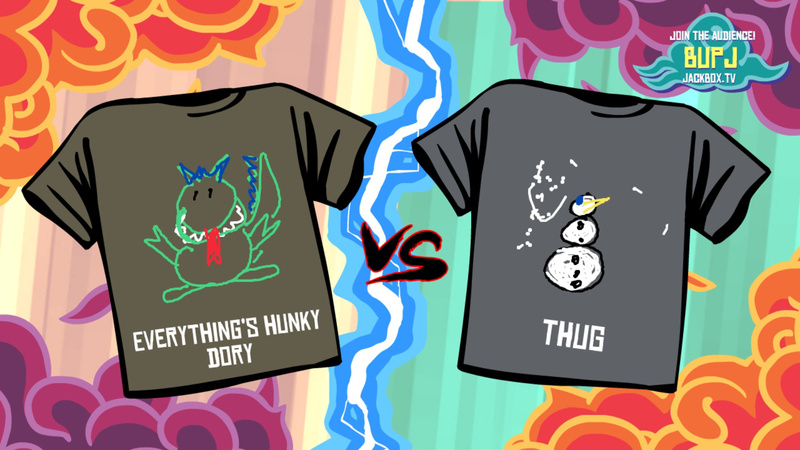 The Jackbox Party Pack 3 should be good. The discounted games on Wii U aren't great. Edit: So who's buying The Stonecutter? It's an amazing game apparently. I highly recommend Team Kirby Clash Deluxe. Wait, is that new Kirby game full of microtransactions? I figured it was just a demo with an optional fee to continue, but it looks like there is in-game currency you have to buy. That's ridiculous. Very curious what the Apple Gem economy in Team Clash Deluxe will be like, I've only had the chance to play the first mission so far. @derickw69 The North American eShop had more games this week. Most of the stuff listed here is just discounts. You don't have to buy it, from what I can gather it operates just like Pokémon Rumble World in that you can get daily gems, and earn more by completing certain feats in-game. The tree can be harvested for more apple gems every 12 hours, I've heard that buying enough gems can make more generate or something but I've yet to see. I've got Art of Balance on Wii U. Was a great game but it doesn't open for me anymore. I can't figure out why. @RupeeClock Makes no difference. I hate that model of game. I want to be able to play a game as much as I want and not have to wait for it to recharge or buy currency to continue. I would much rather pay a flat fee upfront to own the full game instead of having my patience tested while they dangle microtransactions in my face. Any chance for Earthlock: Festival of Magic Wii U e-shop USA ? I heard it will be released on Q1 2017. @ryando Did it get stuck on a level? Looking forward to trying the Puyo Puyo Tetris demo. Mr Shifty looks very similar to Hotline Miami but without the cool atmosphere. Will wait for some reviews. I've been waiting for Samurai Shodown II to hit the Switch but I will probably end up buying IV anyway. From what I've seen from Jacksepticeye's video on Mr. Shifty, it looks like a fun, little game. Might pick it up when I'm done with Persona 5, which won't be for a LONG time. @SLIGEACH_EIRE Nope. It freezes on the home screen when i try to open it. Have to hold the power button for 4 seconds to turn Wii U off. I could always try deleting it and re downloading but CBA. Nothing for me this week. Lame. Delete it and any updates with it. Try to keep your save, although it could be that that is corrupted. Then re-download it for free. Um, still on Zelda here. Have my eye on lots of games coming soon, but nothing for me this week. Except BoxBoy. Will probably pick up Art of Balance. I got the free Kirby game. The free-to-play model works well for me since I already have Planet Robobot and I don't really need an expanded version of its minigame but if I can get it for free, then why not. I voted for Samurai Shodown as well even though I don't actually have a Switch yet. It's something I'll be getting as soon as I get one though. Already got Puyo Puyo Tetris demo from Japanese eShop (and it's fun indeed), but might download this one to see the voicework options in this region. I'll also check out that Kirby game. I'll get the free Kirby game and Puyo Puyo Tetris demo. Where are the Prices in pounds for 3DS games and deals? I'll give the free to play Kirby game a try. I played the Kirby game with my friend and it's EXACTLY like the one battle mode on Kirby Planet Robobot. Puyo Puyo Tetris was fun and I will be buying that, thanks to the free demo. Hotline Miami meets Nightcrawler meets The Matrix, all wrapped up in a superhero comic book aesthetic? Sounds groovy! With the exception of Human Resource Machine and Little Inferno, I've bought every Switch Nindie so far, but it's Wonder Boy: The Dragon's Trap that has me most excited. Roll on Tuesday! Try meditation. The game is fine. It is you that are out of balance. Mr. Shifty looks very Nice. I'll problably get that. Oh, and the puyo demo. Kirby has microtransactions? To hell with that! I assumed that it would have a flat fee. Shame on you, Nintendo. Jackbox Party Pack 1 for PS4 is great, because it has You Don't Know Jack! They really should get another version into the later Party Packs. 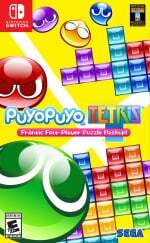 I'll be glad when the English version of Puyo Puyo Tetris comes out tbh. Playing the game in Japanese gets annoying after a while and makes navigating the game's various menus awkward too. The Puyo Puyo Tetris demo is pretty cool, it's not as good as Tetris DS (I'm not sure anything will top that version) but it's a lot of fun with four players. Don't got Kirby Planet Robobot, so I'm gonna give the clash deluxe a try. why is the download info no longer posted on a monday? and hidden away in the features section?